Download Infographic: SAP Training Trends - What's hot or not? 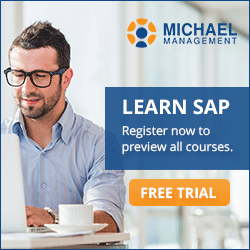 What's hot or not in SAP training? What are the current trends and most common problems of SAP professionals? What do most people struggle with and what sort of training is most needed? - Online or classroom training? - How much training does everyone else get? Find our what SAP professionals have to say in this latest infographic. More infographics: The case for SAP training.